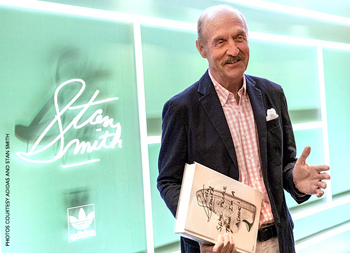 November 15: Come celebrate legendary tennis champion Stan Smith and his new book, “Stan Smith: Some People Think I’m a Shoe!,” at a special wine and cheese book-signing event being presented by The Sea Pines Resort and Heritage Classic Foundation Thursday, from 4 to 6 p.m., in the Heritage Room at the Harbour Town Clubhouse. Guests will have the opportunity to purchase Stan’s book for $55 plus tax. Proceeds from book sales will benefit the Hilton Head Island Boys & Girls Club. With the holidays around the corner, you’ll want to buy copies of this keepsake coffee table book for all the tennis fans on your gift list. Stan’s popular Adidas sneakers also will be for sale at the event. Limited quantities available. For more information on the book-signing event, call (843) 363-4495. The event is free and open to the public; guests attending the event will receive complimentary gate access from 4-6 p.m.